Adorable Kitty Cat Print Comforters and Bedding Sets! 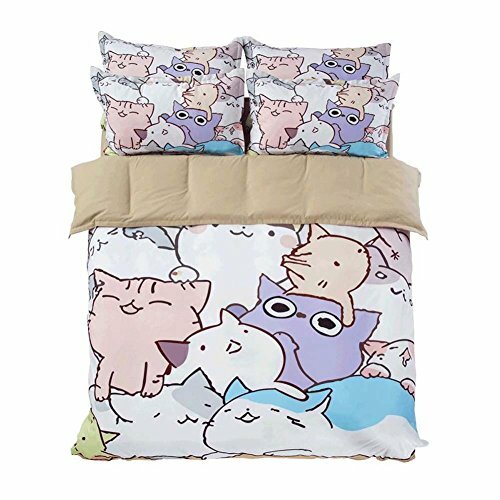 The cutest cat print comforters and cat print bedding sets for sale! Stick around for awhile and be prepared to ‘meow’ in awe of more cute cat print bedding sets! Cute Black Cat Print Duvet Cover Set! 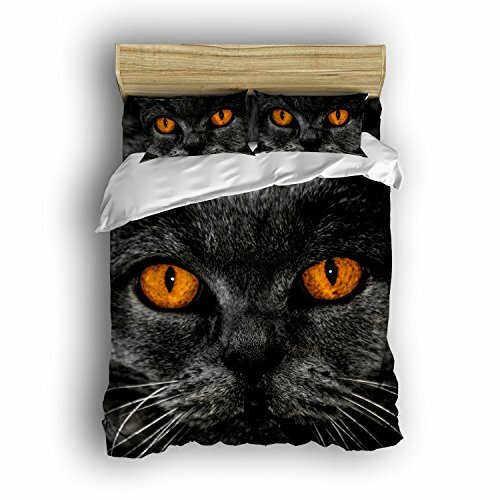 How about a cute, fun and very unique black cat eyes print duvet cover set for your bedroom? You can choose it in twin, full, queen or king sizes! Yes, it also comes with the adorable matching black cat print shams too! Adorable Siver Cat Design Duvet Cover Set for Cat Lovers! It will ‘meow’ (melt) her heart! Super Cool Black Cat With Glasses Duvet Cover Set! 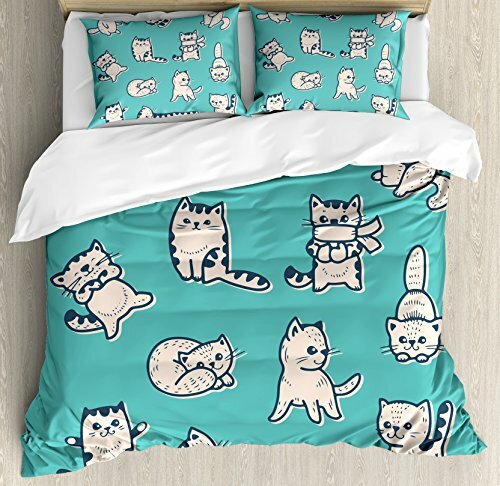 My Favorite Cat Print Bedding Sets for Sale! 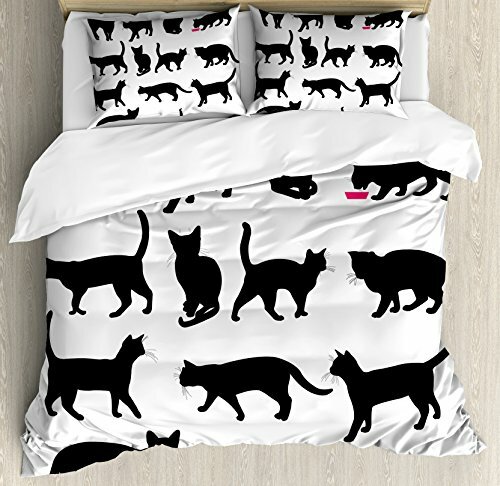 This has got to be one of the coolest cat print bedding sets around! 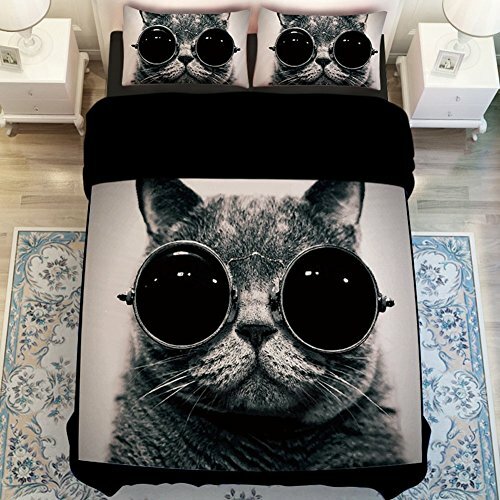 It is a very cool black cat wearing sunglasses duvet cover set! Also perfect for teen girls or any other cat lovers in the family! How adorable is this cute tabby cat design blue duvet cover? I bet everyone will say ‘Awwwwwww” when enter your bedroom! *You can get the cute matching throw pillows here! *Cutest Cats Bedding Set for Girls! Have you ever seen anything more adorable than this cats bedding set for girls? It looks so very soft and cozy too! It comes with one pillowcase and one fitted sheet too. Fun Cats Pink Bedding Set for Girls! 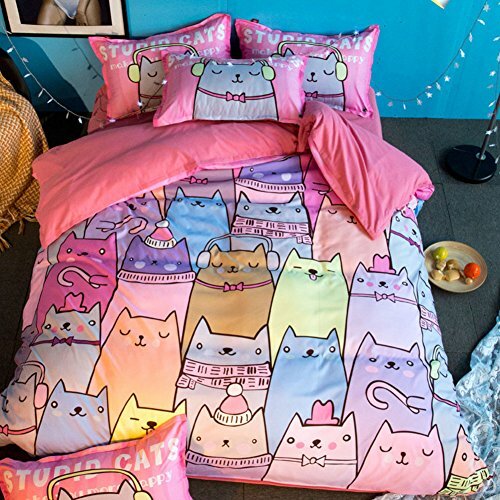 This is a fun and adorable cats pink color print bedding set for girls! It has beautiful fun colors! Adorable Blue Cartoon Cats Duvet Cover Set for Girls! How absolutely adorable and girly is this blue color bedding set full of playful white kitties all over? Fun Black and White Cat Photo Design Duvet Covert! How absolutely adorable and ultra-fun is this black and white cat photo print design queen size duvet cover for sale? *Don’t forget to get the matching cat photo pillow cases to complete your cool cat print bedding set! 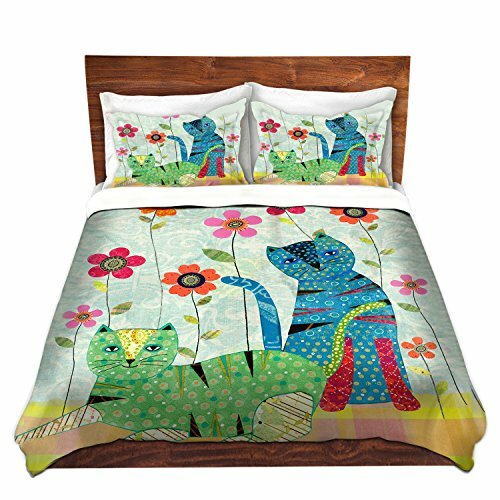 Stunning Artistic Cat Print Bedding Set for Sale! Of all the cute cat print comforters and bedding sets from this page this one is the most impressive in my opinion! 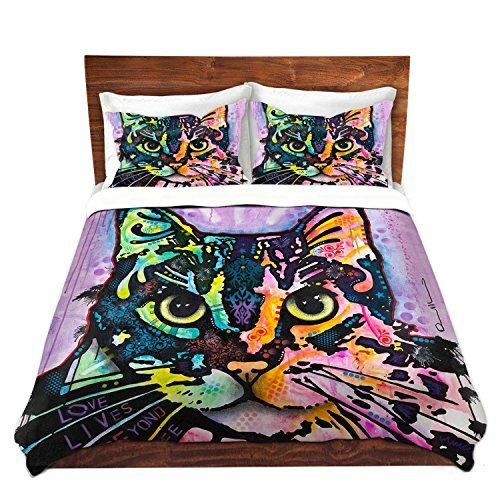 It is a gorgeous and very big colorful artistic cat face design duvet cover set! They are staring straight at you! 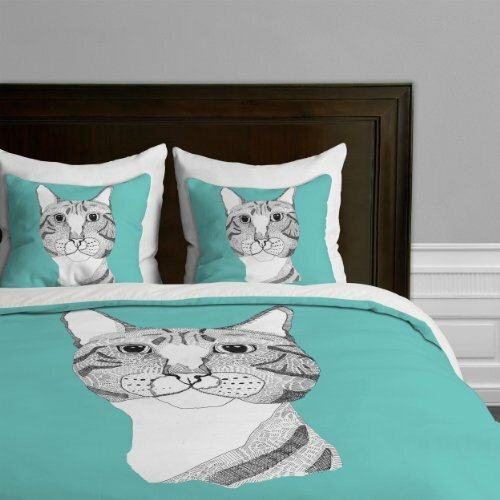 Beautiful cat design bedding set for any cat lover! Cute Black Cats Silhouettes Bedding Set for Teenage Girls! I love the fun combination and design! It also comes with the two pillow cases! I also had to show you this stunning black and white cat face design duvet cover! 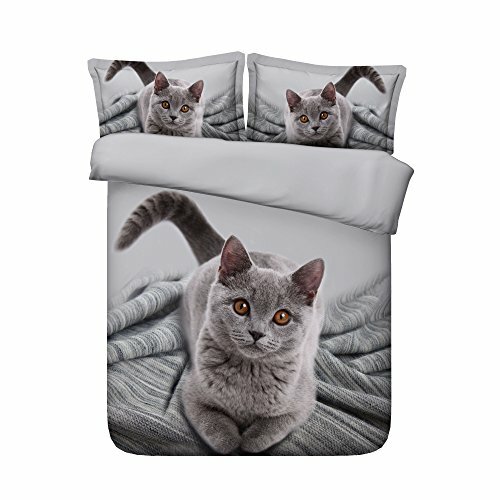 *I hope you enjoyed my selections of cute cat print comforters and bedding sets from this page and were able to pick the most awesome one for your bedroom! Cute Cartoon Animal Bedding Sets for Kids! When I click on the first cat comforter photo, it says the page cannot be found and that comforter is perfect for my granddaughter! I am looking for full size (queen) sheets and matching pillow cases with a cat theme. Preferably pink but any color would be okay. It is for an adult with the heart of a sweet child. For my friend Sherry.